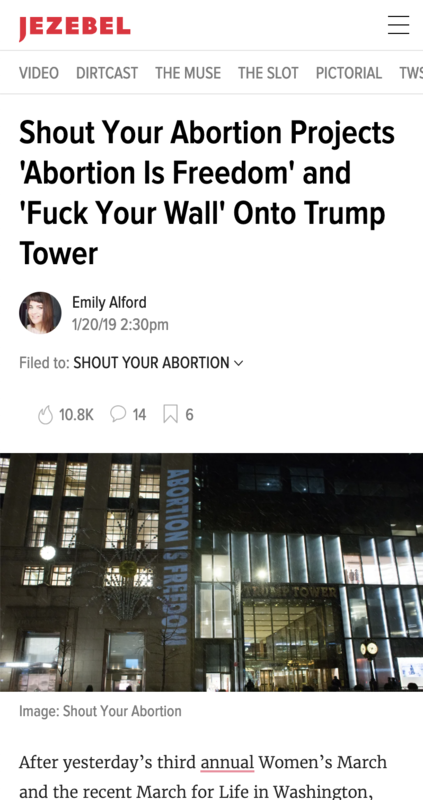 This was a political protest campaign run by Shout Your Abortion. 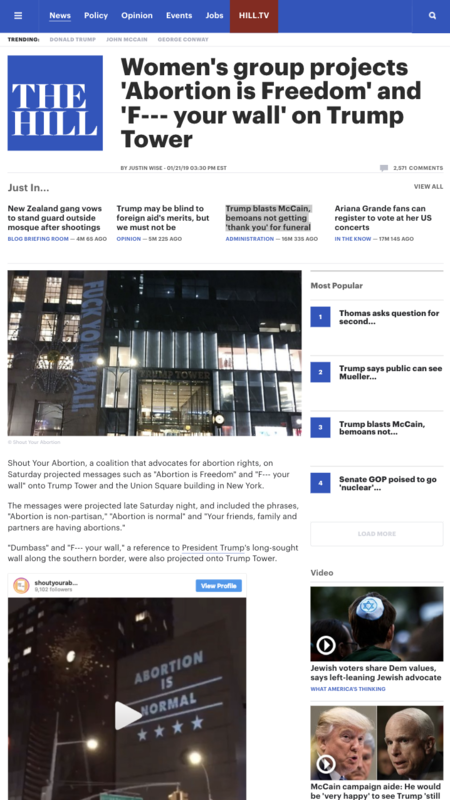 SYA is a decentralized network of individuals talking about abortion on their own terms and encouraging others to do the same. This campaign’s slogan was “Abortion Is Freedom”. The action date was the anniversary of Roe v Wade. There were two parts to this project. A logo and projections. 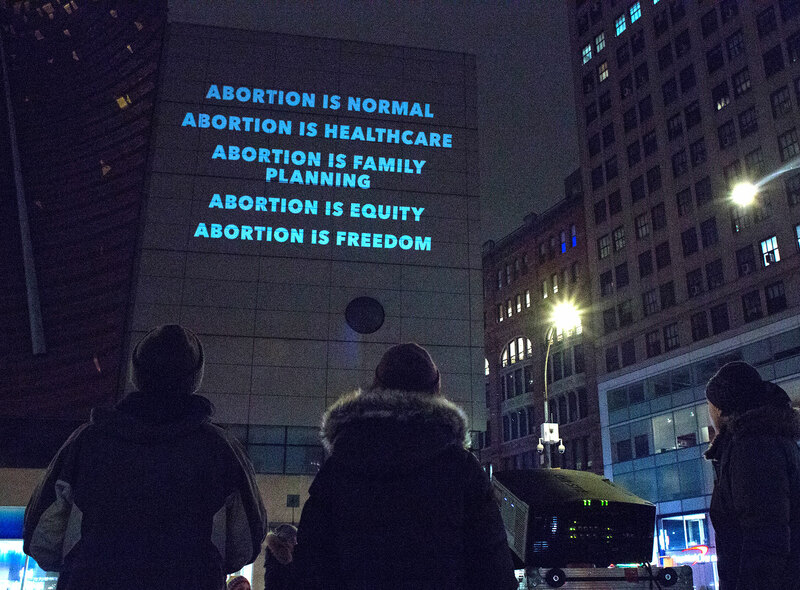 The projections inlcuded a series of slides with messaging supporting abortion rights, Roe v Wade and Ruth Bader Ginsberg.  I redesigned the old Abortion is Freedom logo and generated individual graphic adaptations of it to place in several contexts, including t-shirts and large scale projections at The Supreme Court, Trump Tower and Union Square. Below are the old logo, the new logo for print, and the new logo for black and white projection with motion. 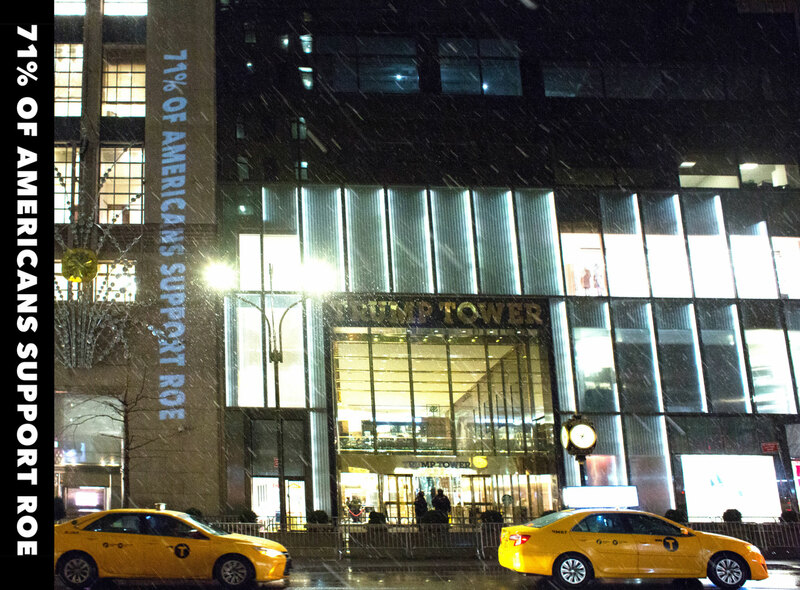 I worked with SYA cofounder Amelia Bonow and The Illuminator, a NYC-based political projection collective. Amelia wanted the graphics to have an official, patriotic vibe. She encouraged me to explore typefaces and colors that were unrelated to the SYA branding built by the designers at Civilization. Conditions weren’t ideal for projections because of ambient light, uneven architecture and weather. Not to mention the fact that these projections were very unauthorized. In order to make the designs effective, I limited myself to black and white. We kept copy terse. The typeface I chose, Avenir Next, has an approachable, official personality. It’s also very easy to read and comes in super heavy weights. 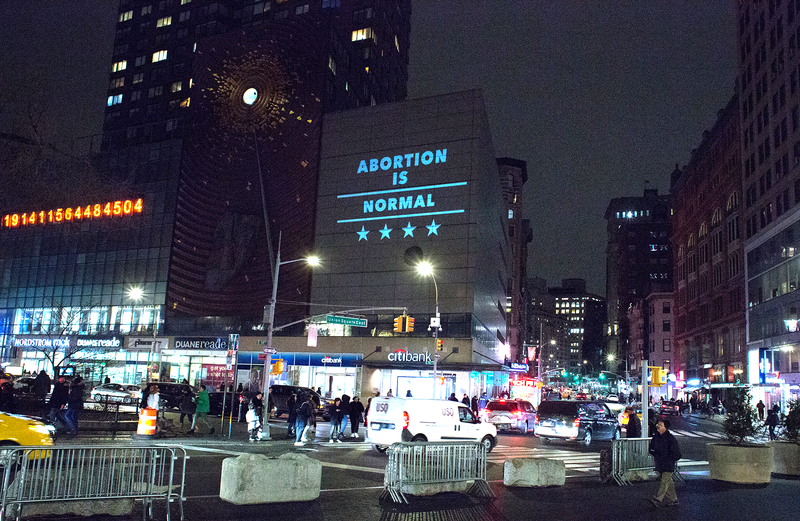 This helped the messaging stand its ground in New York’s busy visual landscape. The architecture of the buildings they would project on varied. I built graphics to match these parameters and sent a couple design options to give them flexibility. On the SCOTUS, for example, I made use of the inside of the triangular tympanum as well as the architrave. 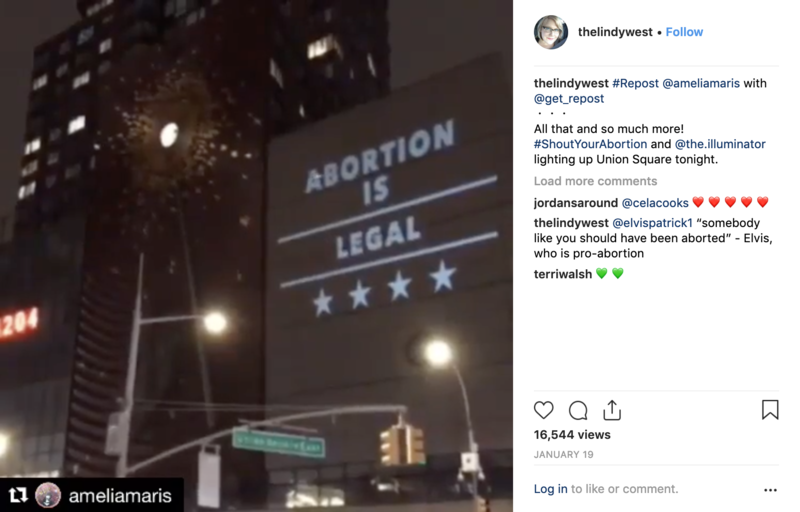 This project was picked up by multiple media outlets and gained a lot of traction on social media thanks in part to celebrity SYA supporters like Lindy West.